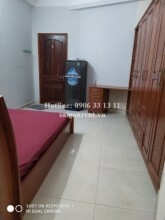 Serviced Apartments for rent in Phu Nhuan District: You are to know about Serviced Apartments for rent in Phu Nhuan District, yeah we're offering is the service Serviced Apartments for rent in Phu Nhuan District. We mainly Serviced Apartments for rent in Phu Nhuan District HCMC. For more information please contact us via Hotline 0906 33 13 11.